I’m a sucker for Olympic stories. I’ll root for you if you give me a moving piece about your past and what it’s taken to get you to this place. That’s why I believe this story immediately piqued my interest. It’s not of the Olympic variety, but one of memoirs, a shared bond, and a love written between the pages. I adore memoirs. 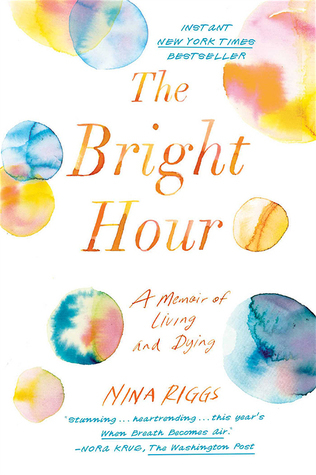 I read both WHEN BREATH BECOMES AIR and THE BRIGHT HOUR, struck by the bravery, eloquence, and insight that two memoirists exuded as they captured the equally tragic and poignant perspective of what it’s like to be dying. Both memoirs were published posthumously. The spouses were encouraged by their dying loved ones to enter a new relationship or remarry after they pass away. The article uses the words radical permission to emphasize this. 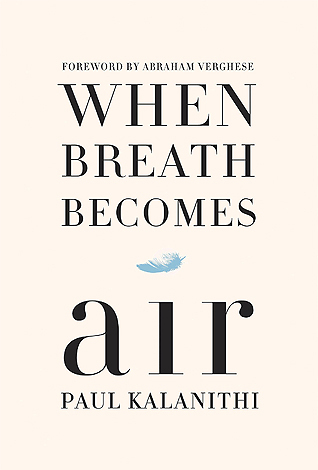 John Duberstein and Lucy Kalanithi came together. I’ve read these books. I understand this union is the farthest thing from a fairy tale box office bond. I love how the article I linked detailed one of their first interactions as obscenely vulnerable. I’ve always happened to believe great things come when we risk being vulnerable. Because doesn’t that just say it all? Relish through the complexity. Relish despite it. Amidst it. Relish the time we have.